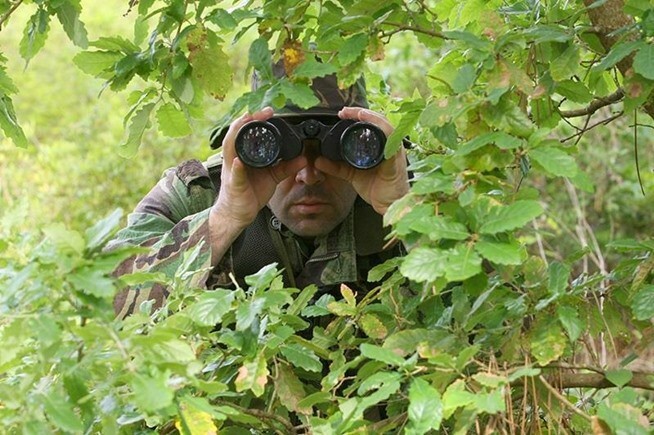 Owning a pair of binoculars for survival in a TEOTWAWKI scenario is not only meant to make every day life easier for you, but it could also save your life. Most binoculars are very precise and will let you spot from afar all sorts of dangers that might be coming your way, leaving you with enough time to react. 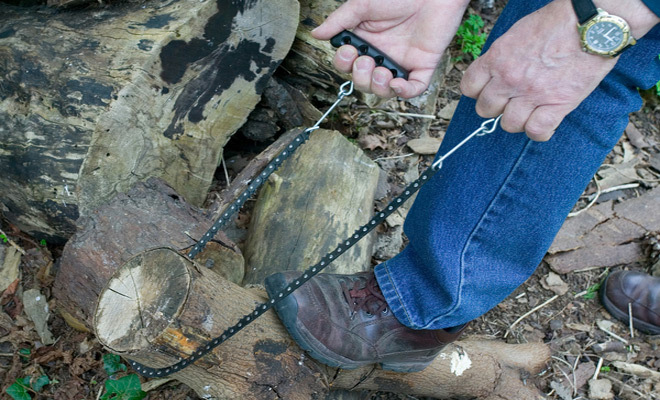 It could also be used for hunting (spotting wild game), guarding your property or simply scouting new territory. So no matter the scenario, binoculars would be always welcome. A good pair of binoculars (and a bit more expensive one) will work fine even in low light or moonlight. There are plenty of companies on the market that have specialized in making quality products and are well-known for it, like Olympus, Pentax, Steiner, Brunton, Carson, Zeiss, Leica, Nikon and more. Sadly, there are plenty of counterfeit products (coming mostly from China) that cost far less but are worth less than the plastic they’re made up from, so stay away from such devices and anything that seems “too good to be true”; any high-end or designer brand selling through unusual channels at a fraction of the normal price should be viewed with a healthy suspicion. To fully understand the importance of such a device we must comprehend what it is and how it works. There various types of binoculars for survival on the market and they come in a great variation of shape and size, but in principle, they are all the same: they’re comprised of two telescopes that are linked together by an adjustable mechanism. The most important factor you have to consider when buying your own binoculars is a sequence similar to, for example, 9×35. These numbers are giving you a lot of information on the capacity of the product, as the number before X (9 in this case) is the magnification factor. A 9X binoculars mean that the image will appear to be 9 times closer than it actually is. The number following X (35 in our case) is a specification of the front lens, which is responsible for the light intake capacity. The greater the light intake capacity, the clearer the image is going to be. So the bigger the number following X is, the more suited the binocular will be for lower light conditions. The RBI (the relative brightness index) is responsible for image brightness. It’s determined by a simple mathematical equation. First, we need to figure out the exit pupil in our case, for the 9X35 mode, we used as an example. The exit pupil is 35 / 9 = 4 (roughly). The RBI is the square of the exit pupil: 4 x 4 = 16. It’s commonly known that the best binoculars for low lighting conditions are those that hold an RBI bigger than 25, so our example wouldn’t do so well outside proper lighting conditions. Lens coatings are responsible for light transmission; their purposes is to prevent hazardous light reflection and to deliver a clear and focused image. There’s single coating, or a single layer of anti-reflective coating (Coated), the whole lens to lens surface is coated (Fully Coated), some surfaces have multiple layers of coating (Multi-Coated) and last but not least, all surfaces are covered in multiple anti-reflective coating layers (Fully Multi-Coated). Now that we covered the basics, let’s see some of the best binoculars for a survival scenario. 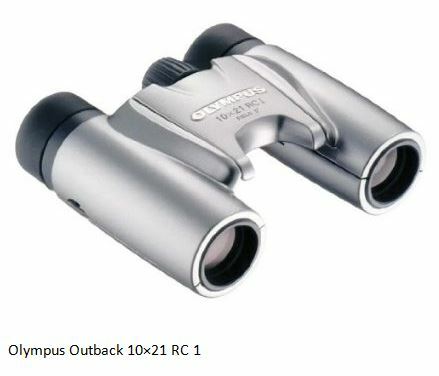 This particular model by Olympus is one of the best binoculars you can find if you consider the quality / price ratio. It’s only about $69, and it’s not much if you consider its capabilities. Its field performance is simply outstanding, as it can produce superior images to those of binoculars that are twice as big or pricy. It has great sharpness and definition thanks to its high-quality roof prism, which is made out of a very high-quality optical glass. But like most 10x devices, it requires a steady hand for maximum efficiency, because it also magnifies movement. The Raven RV-826 is real bargain and possibly the best deal for budget preppers. 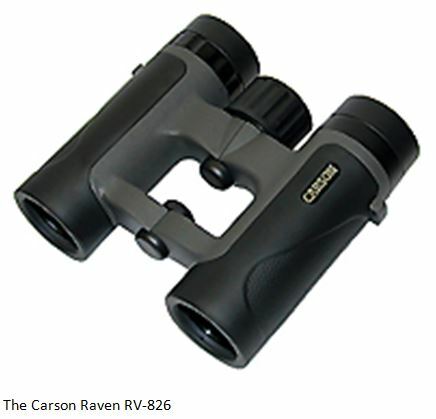 It’s an 8×26 binocular that despite its tiny size, (4.5 x 4.25 inches and 10oz) it delivers quite a clear and steady image. It’s perfect for hikers who simply want to observe their distant surrounding or for people that are out nature watching. It will allow a steady and focused image without making your presence known to the animals you’re watching. These tiny binoculars are really tough and resistant; they come with a waterproof housing that is just impenetrable. And as a bonus, you also get a microfiber cloth for lens cleaning. If the Raven RV-826 is the right tool for you, know that it’s no more expensive than $79. 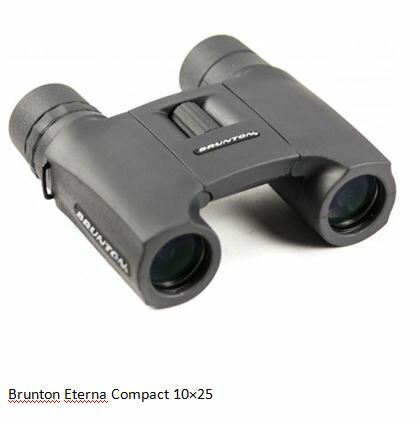 The Eterna Compact 10×25 by Brunto is worth mentioning because of its image clarity and focus despite its tiny frame. Despite its small carcass, it’s pretty heavy, weighing in at 1lb 1oz. The excessive weight seems to justify if you consider the toughness of the Eterna Compact 10×25. It has neoprene lens covers that are easily removed (even if you’re wearing gloves), it has a padded neck strap and a very efficient and functional focusing dial. What sets it apart from regular, cheaper binoculars is the adjustable diopter setting for each eye that allows precision focusing for maximum clarity. It’s not a cheap device (it costs about $360), but it’s precise, well built and durable. 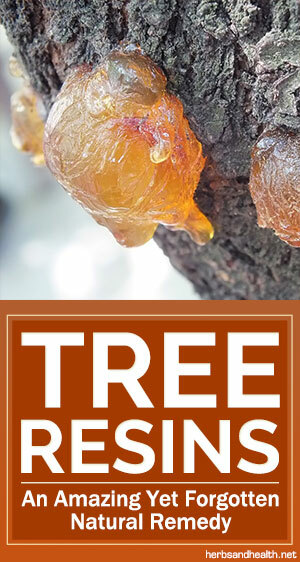 There are many options, and the prices vary from tens to hundreds of dollars. What you ultimately buy is entirely up to you. 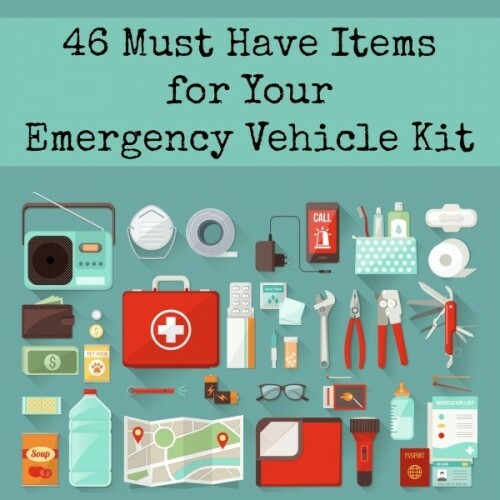 Just know that for survival purposes you don’t need the latest and greatest, so you don’t have to necessarily spend a lot of money. You can find good binoculars even on a tight budget that, if need be, we’ll undoubtedly provide you with an advantage in a SHTF scenario.